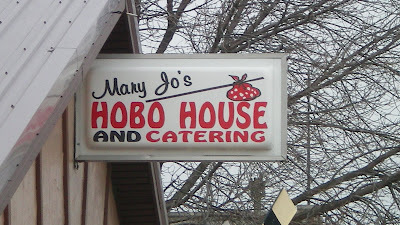 While driving through northern Iowa, I found a whole restaurant dedicated to hobos. 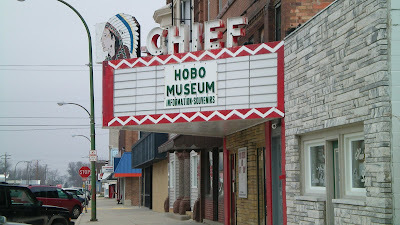 Its across from the old movie theatre turned into a museum to Hobos. 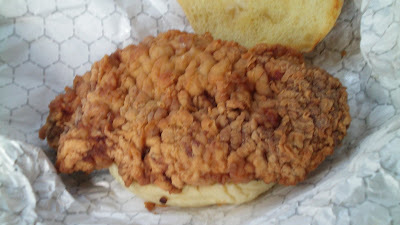 This owner-operated cafe had to be place for a tenderloin. Location: 72 Main Ave S in Britt, Iowa (population 2,052) about 122 miles north of Des Moines. Directions: You take the state Highway 18 to get to Britt, and turn south on Main Street. The Hobo House is across the street from the Hobo Museum. Both are located just south of the business district, by the train tracks. 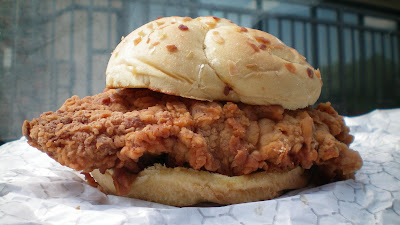 The Tenderloin: This seemed to feel like the typical 8-ounce jumbo tenderloin upon lifting. It had a shape like a big bent rectangle. The meat was barely tenderized and had minimal trimming of fat. The grain of the pork loin was felt while chewing. The breading had enough seasoning to make the whole thing interesting. 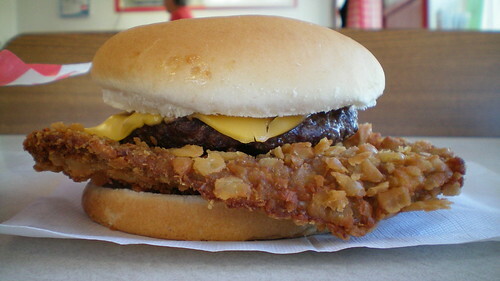 Served with choice of fixins on a toasted bun. Overall 7.0 out of ten. Price: $5.25, with fixins and side item. Also on the menu: a full breakfast, burgers, and a "hobo philly" sandwich. Service: Its table service, there weren't any other customers when I arrived early for lunch. Ambiance: The walls are covered with picture of hobos and railroad junk. Many photos are autographed by members of the Hobo Hall of Fame, which I guess is in the museum nearby. For a place dedicated to hobos, it was perfectly clean and well-lit inside. Final Thoughts: I guess this tenderloin was rugged and unsophisticated like the travelling clientele that come here each summer for the National Hobo Convention. Location: The parking lot of a pawn shop at SE 2nd and Army Post Rd, near South Ridge Mall. Important note: The stand is only scheduled to be open from 11am to 7pm from Monday to Wednesday. 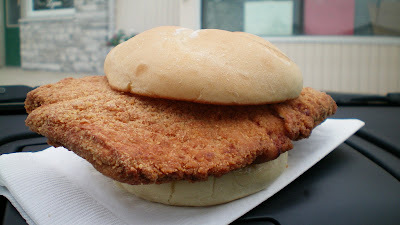 The Tenderloin: Its the same as the original up in Wellsburg. 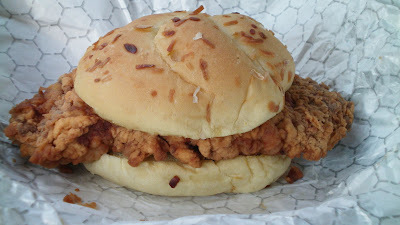 Its big and tender with bread crumbs falling everywhere. Also on the menu: nothing, pretty much just tenderloins with bags of chips and drinks. Ambiance: There are picnic tables behind the stand, Army Post Road is always busy and loud. Final Thoughts: There is no real clarity to how long this stand will be here, but if it gets enough business it may stay open more days of the week. 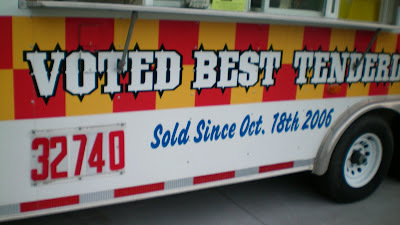 The Townhouse people are not shy about putting their mobile unit so close the the Southside institution of Smitty's down the street. Beaver Avenue was once the main route from downtown Des Moines to places north and west. Now its still a busy street with a neighborhood filled with small store, bars, and restaurants. 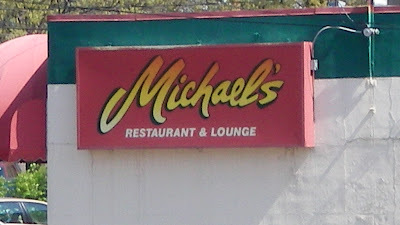 The local paper broke the news today that Micheal's Restaurant and Lounge was closing this weekend. This total bummer was confirmed by a waitress inside. 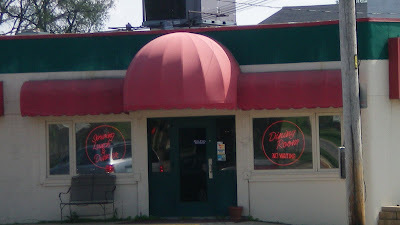 Location: 4041 Urbandale Ave. half a block off Beaver Avenue in the Beaverdale neighborhood of Des Moines. Directions: Drive up Beaver Avenue and turn east on Urbandale, you can't miss it. 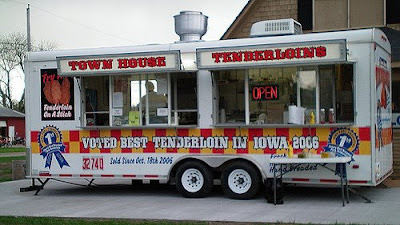 The Tenderloin: This tenderloin was rated 2nd in the state by the IPPA in 2008, the highest ranking ever for a tenderloin from Des Moines. It was consistently rated among the top in Des Moines. 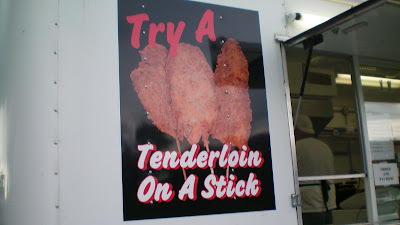 My sources tell me this is similar to the original IPPA winning tenderloin served at Darrell's Place in Hamlin, only much bigger. 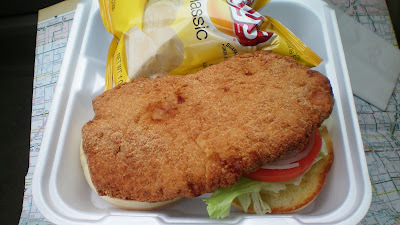 That is reflected in the fine breading and thorough trim job, there is no fat at all in the tender moist pork. Served on a lightly toasted onion bun with all the fixins. Overall 8.5 out of ten. Price: $8.59 with choice of side. 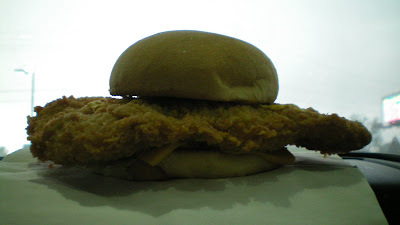 Also on the Menu: The tenderloin was the highlight of a large menu with pasta, pizza, and burgers. Poor Michael's Pizza shares the building and does to-go orders. Service: The hostess will seat you in the dining area, or its seat yourself at the bar or in the lounge. Everyone was in a sour mood since the closing was announced. Ambiance: Its a low-key lounge with dim lights and a bar area with a few TVs to look at. The dining area is quieter. Final thoughts: This place will be missed. 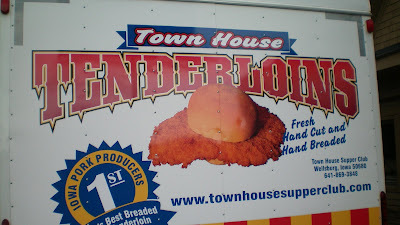 For emergency tenderloin cravings in Beaverdale, I'm not really sure. Porky's Drive-In had a sign reading "homemade is back", possibly referring to the return of homemade tenderloins that were replaced by frozen disks there several years ago. However, Porky's hasn't been open since last fall. 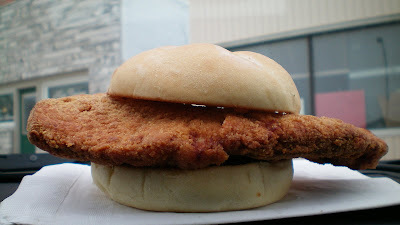 Maybe another place in Beaverdale will add a tenderloin to its menu soon.